Nick Jonas and his family are going to India to meet Priyanka Chopra’s family for an engagement party. 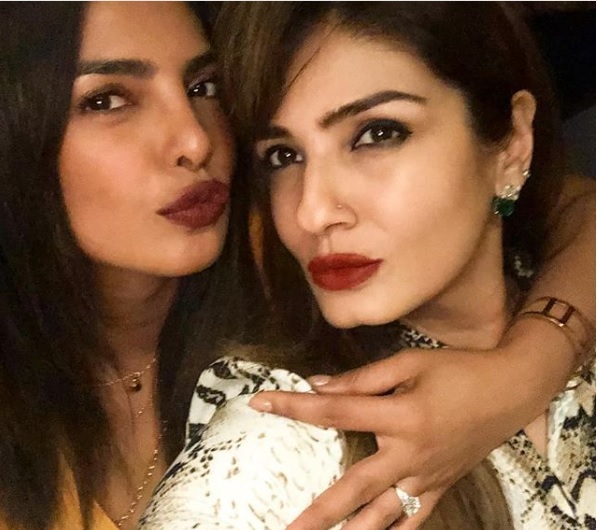 It’s been only a while we broke the news that Priyanka Chopra showed off her engagement ring given by Nick Jonas. Reportedly, Nick Jonas proposed Priyanka Chopra on her 36th birthday in London with a huge diamond ring estimated to be worth of 200,000 USD. The fans have been going crazy over the rumored news of ‘Quantico’ actress Priyanka Chopra and American Singer Nick Jonas’ engagement as the couple haven’t made any official announcement about their relationship yet. However, we have some good news for the fans and otherwise. Priyanka Chopra’s beau Nick Jonas and his family are apparently flying to India to meet Chopra and the family on Saturday, 18th August. If the rumors are believed to be true, we will see Priyanka Chopra and Nick Jonas as an officially engaged couple. It is also believed that Priyanka Chopra wants to get hitched in a traditional Hindu wedding. “Priyanka wants everything to be traditional to respect her family’s values, and definitely an Indian wedding. Priyanka and Nick are excited for everyone to meet and to celebrate. Everything is very secretive but guests are expected to head there starting tomorrow. All of the plans are moving quickly and Priyanka and Nick do not want to have a long engagement,” the source said. Nick Jonas and Priyanka Chopra are taking their relationship seriously yet keeping it under wrapped until both the families meet. Priyanka Chopra have asked her close friends and family to set aside some time on August 18th for a party. Reportedly the party will be held by Chopra’s at one of Juhu’s five-star hotels to announce Priyanka Chopra and Nick Jonas engagement. The weekend is going to be super excited, both, for Priyanka Chopra’s fans and Nick Jonas’ fans.